Please find all current and regular updates on the Facebook Fanpage. 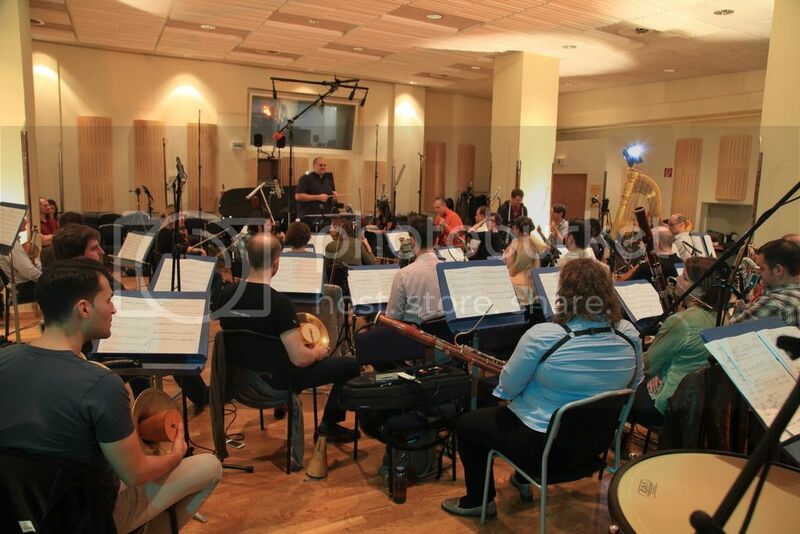 Bernhard conducted a recording session with excerpts of Wolfgang Amadeus Mozart's opera "Die Zauberflöte" (The Magic Flute) with the Wiener KammerOrchester at the tonzauber Studio in Vienna, for an international film production, which will be scored by Roman Kariolou. For mixing and editing reasons the singers and the orchestra were eventually recorded separately. Here's a small excerpt of one take from the recording session. Bernhard's official Facebook Page reached the milestone of 500 likes! 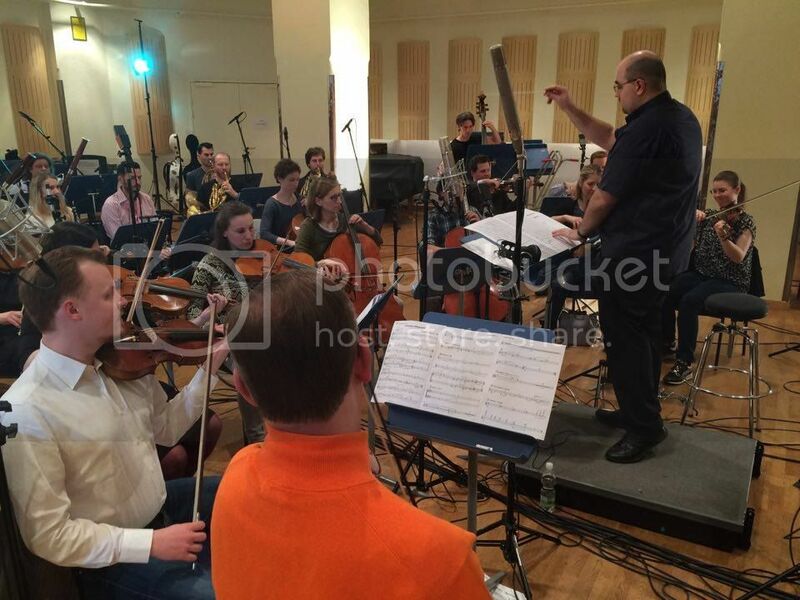 Bernhard orchestrated and conducted a recording session in Prague with the Czech National Symphony Orchestra, music composed by Roman Kariolou. 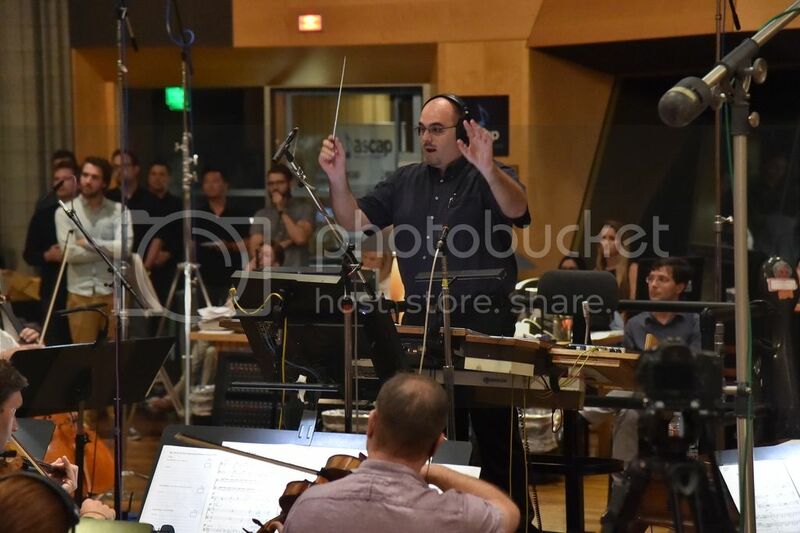 Bernhard has been also been quite busy this year as orchestrator, as well as co-conducting the Hollywood Chamber Orchestra together with composer John Massari in Los Angeles for the "Killer Klowns From Outer Space - live in concert" at the Ricardo Montalban Theater, Hollywood. (More info HERE and here!) 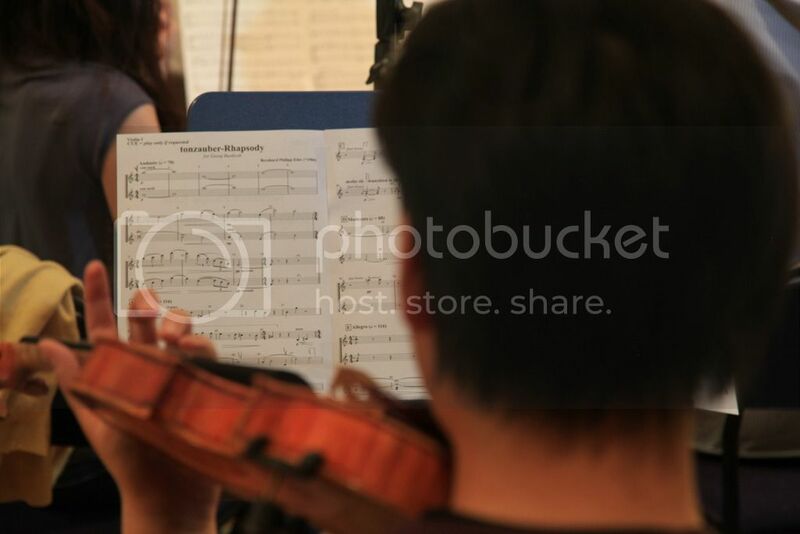 Currently Bernhard is also featured on a big poster at the front of the Montalban Theater, conducting a rehearsal for the concert. Bernhard also worked as an additional orchestrator on Felix Raffel's upcoming orchestral score to the Luxembourge movie production "Superjhemp retörns". Bernhard is currently working on new compositional projects, both for concert as well as film, and continuing to teach at the Music University Vienna, as well as masterclasses. Stay tuned for more updates to follow here soon. Enjoy Bernhard's orchestral Happy Birthday-Variation. It was recorded for the tonzauber Studio Recording Project, where "Tonzauber Rhapsody"/"Tonzauber Signations" and the "Spacehasen Suite" (see below) recordings took place on the same day. Fun Fact: Bernhard wrote this arrangement in the night before the recording session. 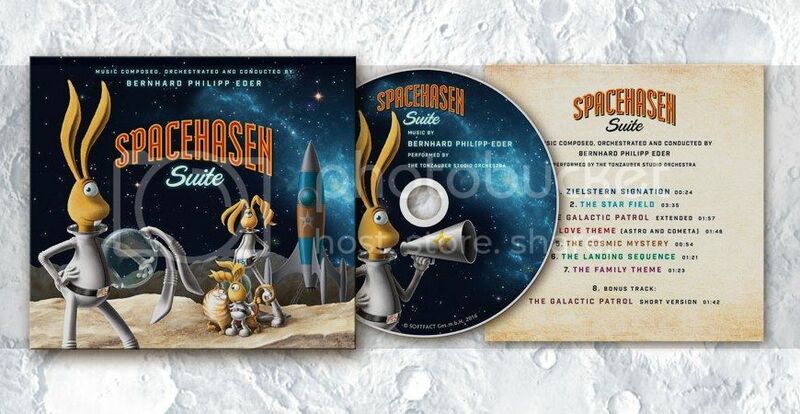 The "Spacehasen Suite" has now officially been released on CD and digital download! You can order the CD directly HERE or buy the download version on iTunes, Amazon, Musicload, Spotify, YouTube and many more distributors. both in german and english. 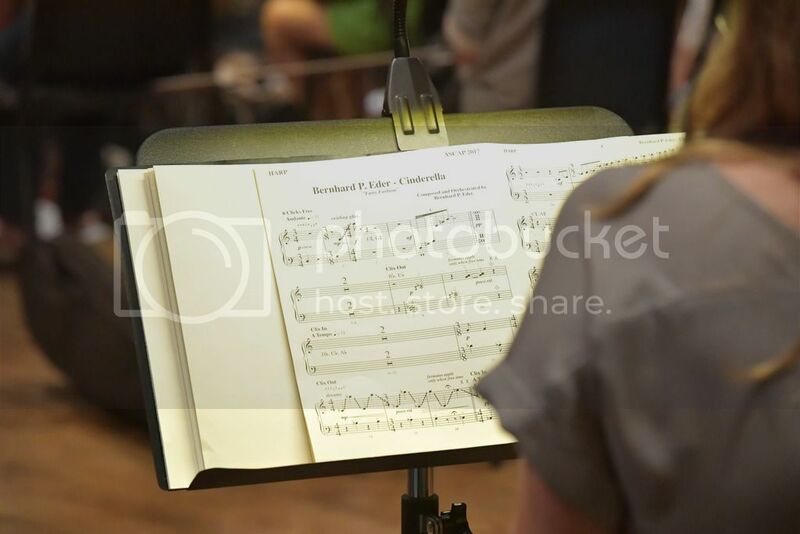 Bernhard's new piece "Explorations" has been world premiered by the renowned Koehne Quartett, to whom the composition was also dedicated, at the Alte Schmiede Wien. Enjoy the world premiere recording of "Explorations"
Bernhard worked as an orchestrator on the upcoming german TV series "Beutolomäus und der wahre Weihnachtsmann". Its score was composed by Felix Raffel. ASCAP Filmscoring Workshop with Richard Bellis in Los Angeles, USA. 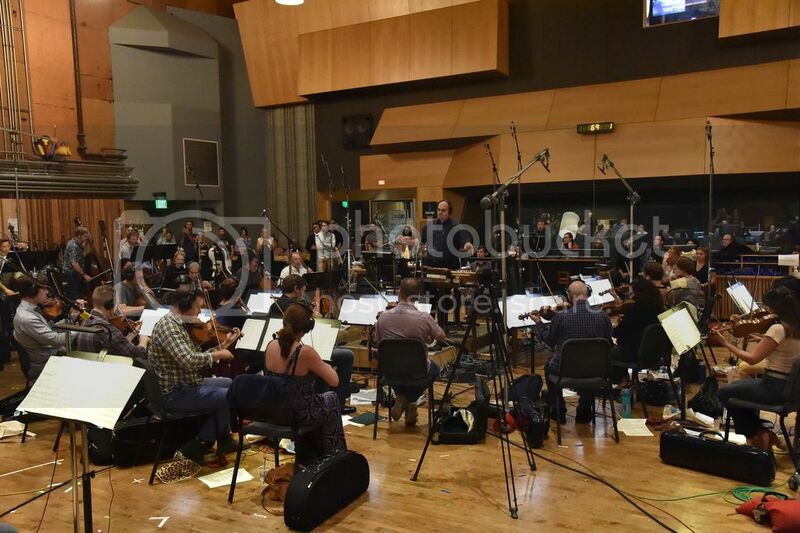 Bernhard participated at the ASCAP Filmscoring Workshop with Richard Bellis in Los Angeles, USA. John Massari's "Killer Klowns From Outer Space" CD Recording and Live Concert Project. tonzauber image video campaign and on which all subsequent tonzauber signations are thematically based. which will be released on CD soon. "Spacehasen Suite - The Landing Sequence"
For further musical sneak peaks regarding this project please look into the entry of December 2016 down below. Read more about it here and here! performed by the Tartini Quartet. for the category BEST MUSIC at the largo Film Awards in the selection of February 2017.
directed by Matthias Noe (Spessart Tales), which has its premiere at the Genrenale 2017 in Berlin. the promotional soundtrack to the planned animated feature "Spacehasen" (=Space Rabbits). so stay tuned for additional exciting news and releases soon. for the opening concert of the new-music festival "Wien Modern". at the University of Music and performings Arts Vienna, Austria. Additionally he again orchestrated for Hollywood in Vienna 2016 this year. More photos can be viewed here! Daydreamer has now been officially released! TO WATCH THE MOVIE AND PURCHASE THE ORIGINAL SCORE, PLEASE CLICK HERE! nominated for BEST SCORE at the Maverick Movie Awards 2015. For more behind the scenes material, click here!